The U.S. Army has little need for horses in this era of Humvees and other vehicles made to withstand heavy firepower. 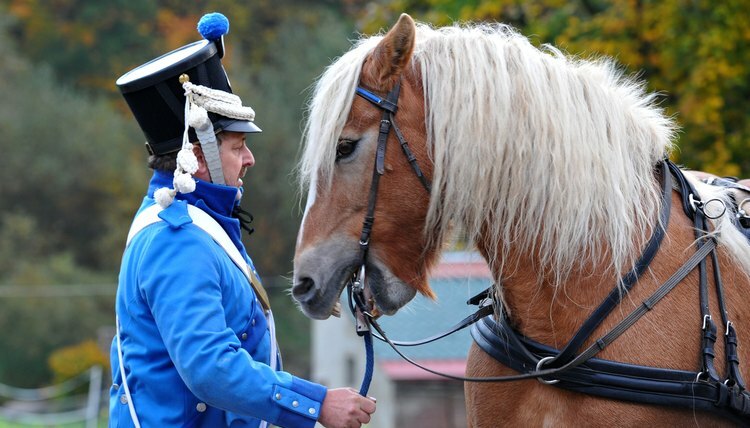 After 1942, the Army relegated the use of horses to ceremonies and historical re-enactments. Look to the Old Guard in Virginia or the 1st Cavalry Division in Texas for full-time equestrian jobs in today's U.S. Army. Other options are volunteer-based -- although the occasional need arises for soldiers to use horses in the field. Members of the U.S. Army Special Forces sometimes ride horses in the field, but don't join Special Forces specifically for that opportunity. 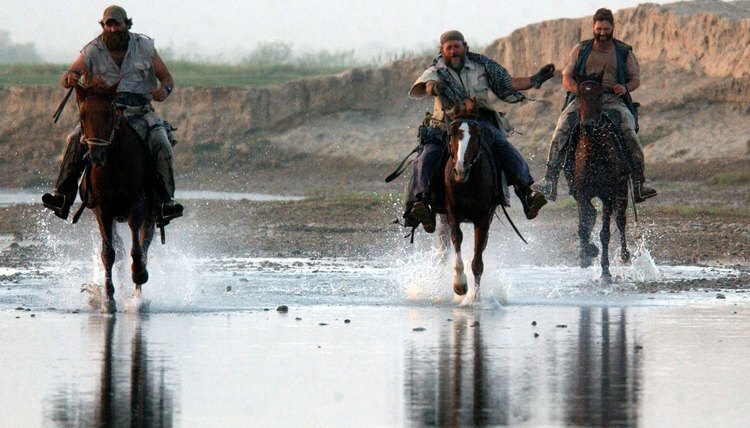 In 2001, Army Special Forces members found they needed horses to carry them across rugged terrain in Afghanistan -- marking the first time since 1942 that the Army used horses in battle. Since 2001's rediscovery of the value of horses, the Army has initiated training programs to provide Special Forces members with the knowledge and skills needed to ride and care for horses. This training prepares them in case they find themselves in circumstances like those in Afghanistan. Training, however, is provided by the U.S. Marine Corps and other sources outside the Army's ranks. The Old Guard are members of the Caisson platoon of the 3rd U.S. Infantry, posted at Fort Myers, Virginia. This platoon performs in formal ceremonies, particularly military funerals. 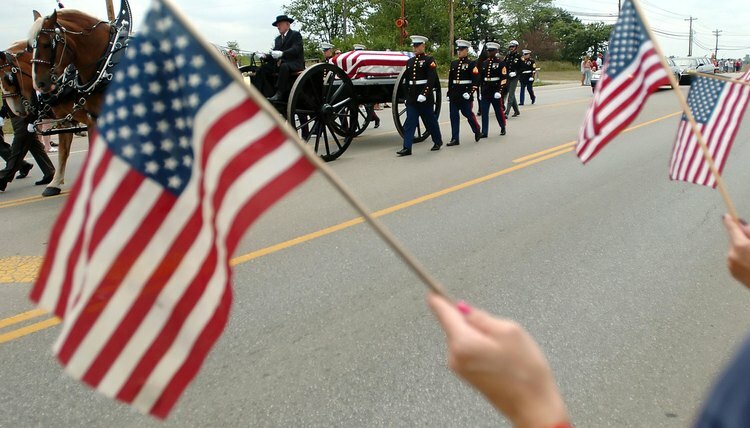 When U.S. presidents are laid to rest and military veterans are escorted to Arlington Cemetery with full military honors, it is the job of the Old Guard to transport their caskets along parade routes. Members of the Old Guard train rigorously, living, eating and sleeping with their horses until both meet stringent requirements to perform to perfection. 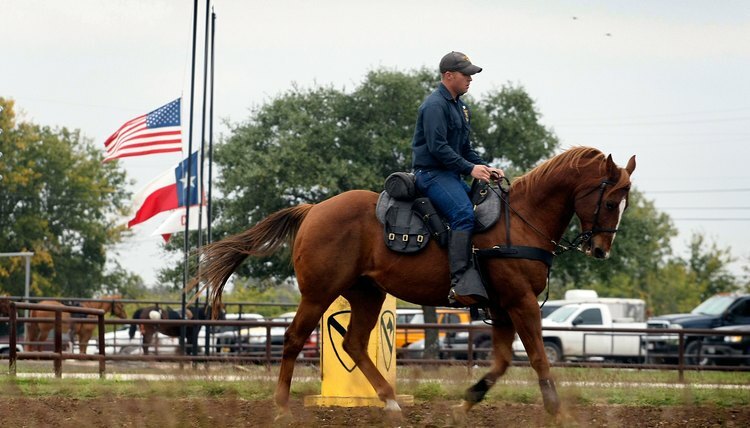 In Fort Hood, Texas, members of the Horse Cavalry Detachment of the 1st Cavalry Division perform historical re-enactments centered around the Indian Wars of the Wild West era. While an average day starts with early morning physical training as it does for soldiers everywhere, the rest of the day is far from typical. Members of this detachment not only ride and care for their horses, they also make their own saddles and boots, and shoe their own horses. Duties can also include cleaning the horses’ stalls and mowing the lawn, while training includes things like how to protect a wagon train from an Indian attack using antique firepower. The Horse Cavalry Detachment rides in parades and performs at formal and informal events such as fairs and rodeos. B Troop in the 4th Cavalry Regiment, at Fort Huachuca in Arizona, is a U.S. Army mounted unit staffed entirely by volunteers who dress, train and perform according to historical U.S. Cavalry standards set during the 1880s. Members include active duty, reserve and retired military personnel, and others, such as the adult dependents of military personnel. The Blue Devils Horse Platoon in Michigan provides another option for Army Reserve personnel. This platoon, also staffed by volunteers, represents the U.S. Army at sporting events and ceremonies around the world. Members provide for their own horses, including tack, trailers and uniforms. What Are the Duties of the Marines? Kraft, Debra. "Equestrian Jobs in the Army." , https://careertrend.com/list-6807330-equestrian-jobs-army.html. 28 November 2018.